This applications will make sure that snapshots are done on a regular basis. As default, there are 3 schedules: Hourly, Daily and Monthly. The application will clean up snapshots on a regular basis. 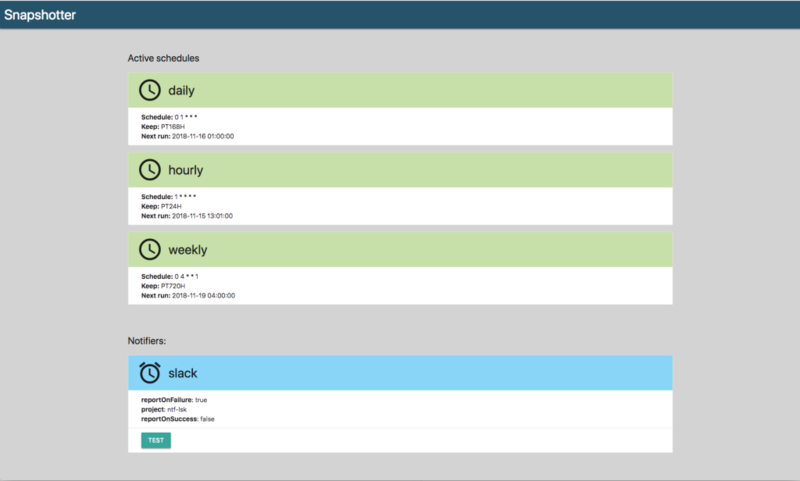 Its also possible to define your own schedules and set up notifications. Get 5 days free hosted version of "Snapshotter" application for Enonic XP.